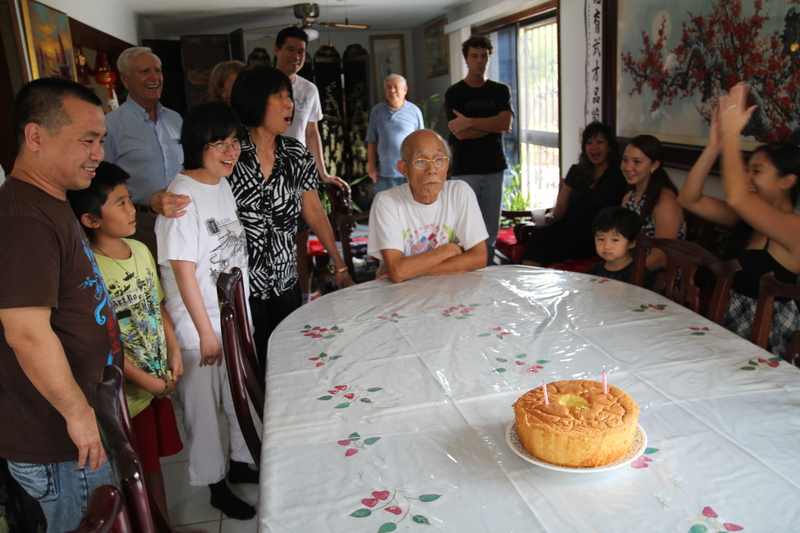 Can Grandmaster Pui Chan really blow out a candle from over 6 feet away? Grandmaster Pui Chan blowing out his birthday candle from across the table. Last year, my family and I went out to dinner to celebrate my father’s birthday. The waitress came and put the cake down on the other side of the table to light the candle. She lit it, started to sing, and looked down as it was already blown out. She was confused, but lit it again…and of course, it went out again. My father was on the other side of the table blowing out the candle! I once read a news article that said something about a rumor of a kung fu master who could blow out a candle from over 6 feet away. Well, it is no rumor! Those who have been fortunate to celebrate with him, have seen him on numerous times blowing out candles from several feet away. It’s all about breath control. So keep practicing your bai fut sow everyone! HAPPY BIRTHDAY TO GRANDMASTER PUI CHAN! Put another method, one in five patients infected by way of a superbug died. games last up to three hours.